Another shout out for the ole' shopping season? Let's kick it, peeps! Flashback to my high school years- when my partners and crime and I would hop the train into NYC for a day of shopping and teeny-bopping. Twas then when I made one of my best purchases to date. 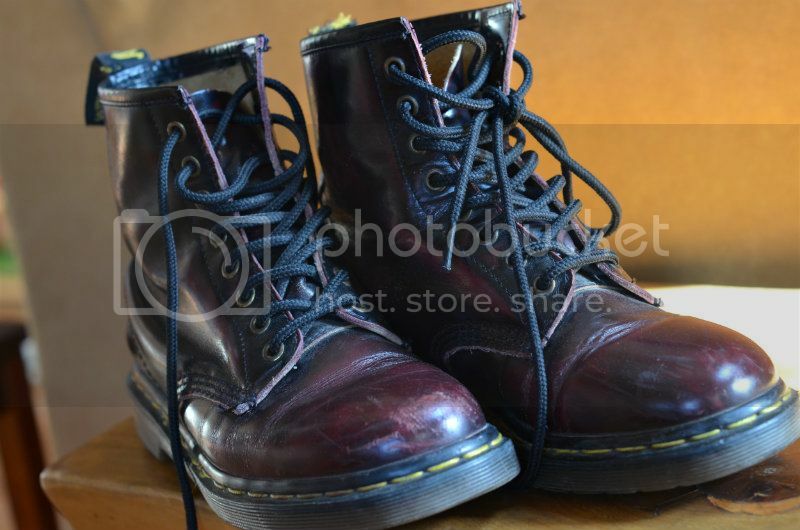 Ah yes...at 15-years-old, I used the dough I'd earned from lifeguarding to buy me some maroon Dr. Martens boots. And people, I am STILL wearing these suckas today. The very same pair. Holy bagonzos! I'm still kind of in disbelief. I mean, really. These boots have lasted almost HALF MY LIFETIME! And they just keep on trucking. I didn't even clean them up for these shots. After all this time, there is mild scuffing on the leather on the toes and the mildest wear on the soles. The only major drag has been the ripping of the Dr. Martens tab (which helps pull the boot onto your foot) on the back of one boot. That's IT. There's nothing else to complain about after years and years and years of wear. Pretty dang impressive! 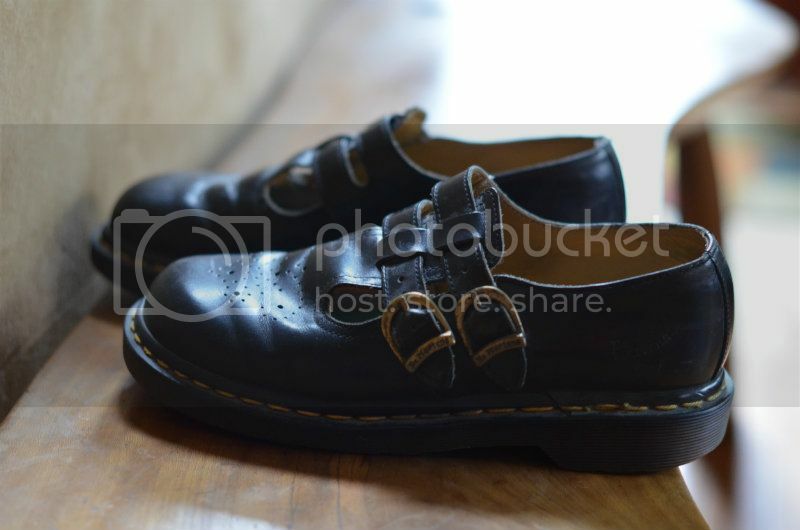 At 16, I hopped that train to head back in for my Dr. Martens mary janes- and yup...I'm still rockin' these, too! These are a bit more banged up inside- the inner lining ripped out of one shoe- but I just added a new insert and now they're good to go. 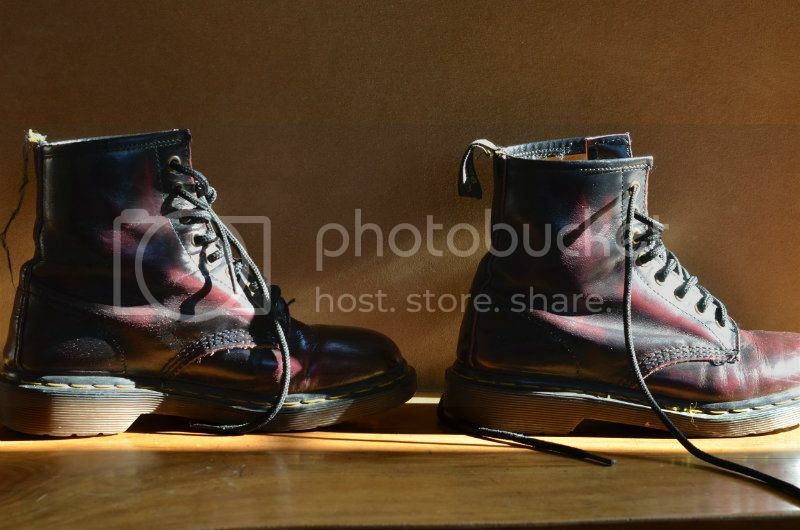 Three cheers for Dr. Martens! Sometimes it seems like companies are scammin' hard, selling low quality products for high prices just to make a buck. Dr. Martens ain't messing around with that sneaky biz. They're still making durable, high quality shoes with fine craftsmanship. And these babies are built to last. The nineties might be over, but the Docs- the Docs last forever. Have you ever made a purchase that turned out to be a complete score- that withstood the tests of time? Tell us about it!